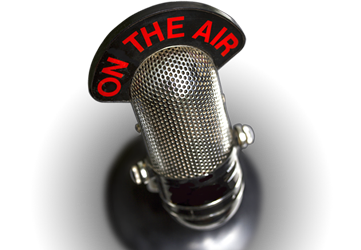 PlaneTalkRadio is dedicated to promoting an appreciation and understanding of business aviation and issues facing the business aviation community. It is hosted by Stewart Lapayowker, Esq., an attorney whose practice is focused on business aviation. Shows will explore the ins and outs of owning, operating, buying, selling, financing and maintaining aircraft, and will have guests from different fields of aviation, including aircraft owners, flight department managers, manufacturers, fractional programs, aircraft brokers, finance companies, attorneys and others. We’ll try to answer your questions about business aviation, and have some fun while doing it! Starting in January, we’ll be having a series of shows dedicated to aircraft acquisitions. Although Stewart handles the acquistion of corproate aircraft as part of his daily aviation law practice, how does he handle being a possible owner? Join us as we move through the different stages of an aircraft acquisition. Part 2: The search for the ? We’ll discuss the market for the aircraft that we’ve selected, we’ll see what’s out there, and visiting with sellers and dealers. Please join us! © 2019 PlaneTalkRadio.com | All Rights Reserved. Stewart H. Lapayowker is an attorney admitted to the Florida Bar. He counsels corporate and individual clients, foreign and domestic, on issues relating tot he acquisition, leasing, registration and financing of new and pre-owned aircraft (including fractional aircraft), and related regulatory matters. He is Recording Secretary of the National Business Aviation Association’s Tax and Regulatory Committee, past Chair of its Aircraft Transactions Working Group, past Vice-Chair of its Regulatory Working Group, and a member of the Aviation Law Committee of The Florida Bar. Mr. Lapayowker has written articles and editorials, has been quoted in the press, cited to by a federal appellate court and has lectured on various topics in business aviation. Offices are located at Lakeside Office Center, 600 N. Pine Island Road, Suite 350, Plantation, Florida 33324. This program is not endorsed by the Florida Bar.